PDF is an open-format from Adobe Inc., there are bunches of programs which can generate PDF files and that causes a problem: not all the PDF files have correct and complete structure. We call them corrupted PDF files or damaged PDF files. If you get a corrupted PDF by accident, you might not be able to read it (depends on how heavy the PDF is damaged). So the PDF is damaged, we can’t read it, but it is not the end of the story. With some professional (but not expensive) tools, we can easily fix this kind of problem and make the PDF readable. There are tons of tools which advertised as being able to fix damaged PDF files, after testing bunches of them, I found this one which is the most reliable and cost-efficient. 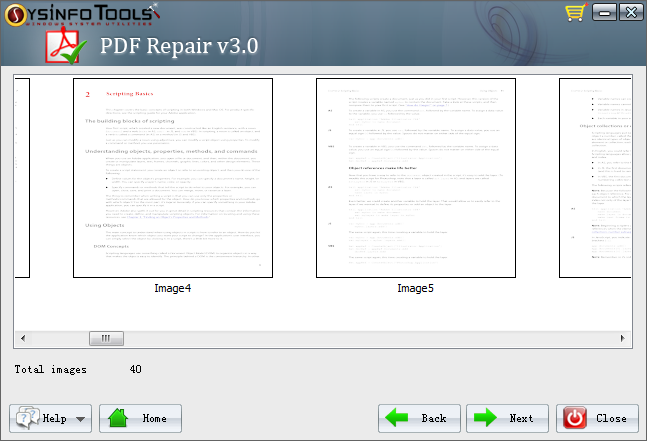 It’s called PDF Repair and provided by SysInfoTools Inc., at the moment it is only available on Windows computers. Although the price is $59, but believe me, it makes every single coin counts. 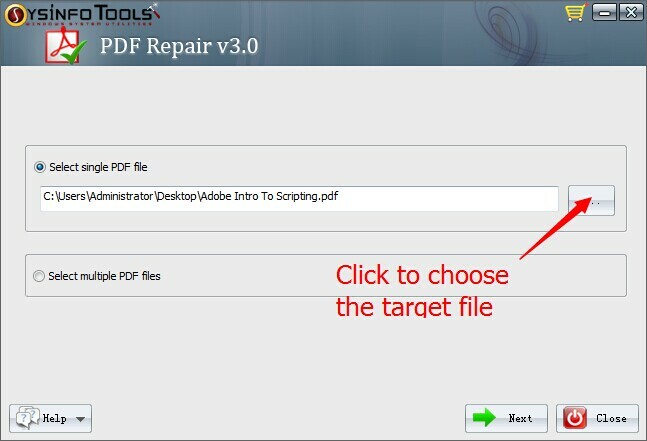 If you only need to repair a PDF, you can use it for free. Buy a license just enables you to use more powerful features and make the most of the PDF files. Click the button above you can download this program for free, and the free trial version provides standard PDF repair feature. Launch the program you will see the clean and user-friendly interface, directly click the “…” button you can activate the file browser and choose the target corrupted PDF file you want to repair. After the PDF is chosen, click “Next” button in the lower right corner. In general, the Standard Mode is enough to handle most of corrupted PDF. This tool fixes your PDF by extracting all the data from corrupted PDF then combine them into a PDF again. Therefore, in this step you are able to see all the extracted data, usually they are images. The last step is to export the fixed PDF to local drive. And there are also several options can be selected. 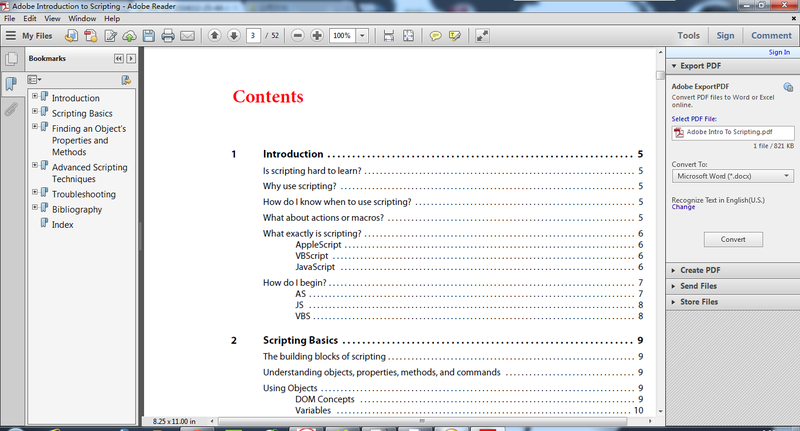 Finally, click “Save” button, then you can get a fixed PDF which can be read without problem.